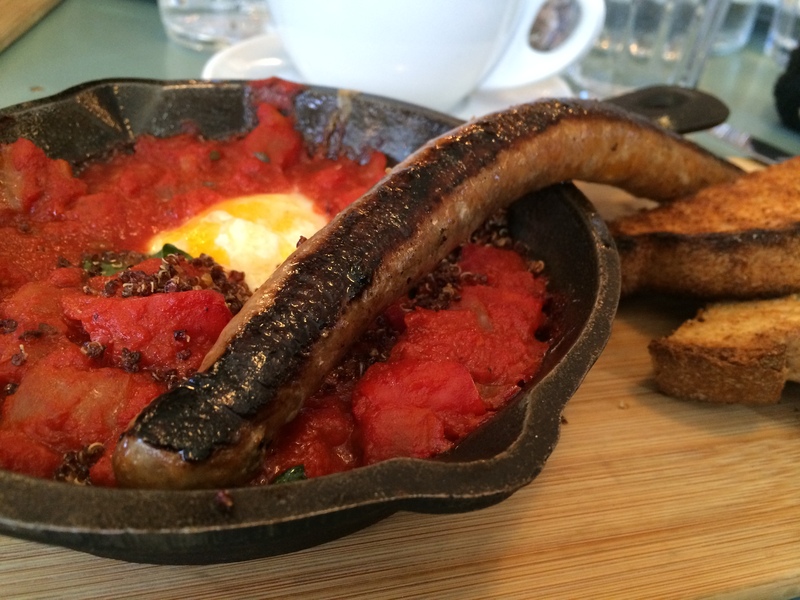 Brunch spots for all kinds of brunchers – Montreal restaurant | Everything Delicious. As a foodie who is mainly interested in discovering new dishes though I have to admit I find it sometimes difficult to pay for simple eggs and potatoes, but on the other end I do love the lazy Sunday ‘brunch with friends’ tradition so I do (very) often get tempted. To make the most of the Montreal Brunch Culture, I’ve selected 5 different brunch personalities for you. So let’s find out. Which one are you? With a prime location on St Laurent, within the hipster Mile end neighbourhood, the Sparrow has earned its hipster creds over the years. The vibe is retro chic with some tables made out of trunks, old photographs hanging on the wall, and food served in vintage china. All very cozy. Food-wise, everything has a great reputation but the House-Smoked Trout with spinach & green onion pancake, soft boiled egg, beet salad & whipped crème fraiche is definitely a HIT! The kind of freshness you can enjoy every week end ‘sans moderation’. Brunch here is a delight to hipsters & more brunch lovers alike. Hipster bonus: Sparrow makes every effort to source local and sustainable products. If you are into organic food and healthy living, but also love good gourmet food, Le Sain Bol is the place for you. The menu is simple but will allow you to treat yourself without feeling guilty about it. The place is small, convivial and charming and the Chai Latte offered upon arrival makes you feel right at home. Once settled in, you can choose a dish from the short seasonal menu handwritten on a chalkboard. French owner Frederic then starts cooking in his open kitchen so you can smell your meal getting ready. Yum! Whatever you choose, I am pretty sure you’ll find it simple but delightful. In our case, the delight came in the shape of a goat cheese omelette with mushrooms and a fabulous salmon gravlax focaccia. Tip: Although delicious, the portions are a bit small so make sure you do not bring a bunch of starving guys out here because they may be disappointed. Located in a quiet part of the Mile End, Arts Café usually gets a shorter line up for its weekend brunch than most, an advantage not to underestimate in Montreal where Sunday line-ups can be quite painful. Arts Café is a trendy little spot that has a design décor, good food and high quality coffees. In summer, its shady patio is a perfect hang out to linger around and rethink the world we live in. I advise you try the Shakshuka, a breakfast of Tunisian origin made with poached eggs in red pepper and cumin tomato sauce, served with a merguez and toasts. I found it to be tasty, satisfying, and a nice change from the traditional eggs benedict. Just off of Mt Royal, au Pain Perdu is recognizable with its colourful yellow storefront. It’s always busy but the wait usually isn’t too bad because there is a large dining room upstairs. No surprise here, you can expect the traditional brunch fairs: big portions, fresh products and all the usual suspects on the menu. We had a brie and apple omelette, a bagel sandwich, ham benedict, crepes…. Tip: The restaurant carries high chairs and is really family friendly. If you want to enjoy simple comfort food, the type you would have after a big night out, in a trendy ambience, L’Gros Luxe is not to be missed. Enjoy a cheap and good fair in a convivial atmosphere. 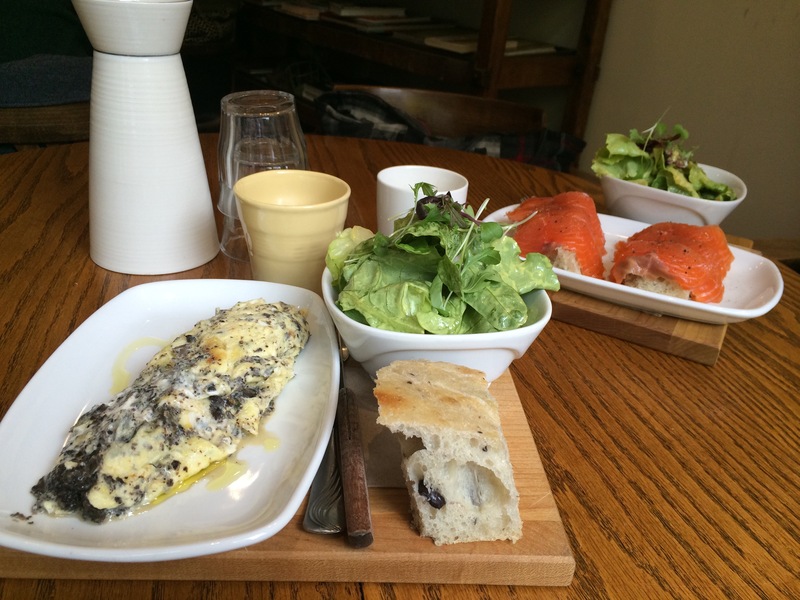 Pingback: Sel Gras – Cosy Mile end bistro that deserves a try | Everything Delicious. Pingback: Santa Barbara – Fresh and creative brunch | Everything Delicious. 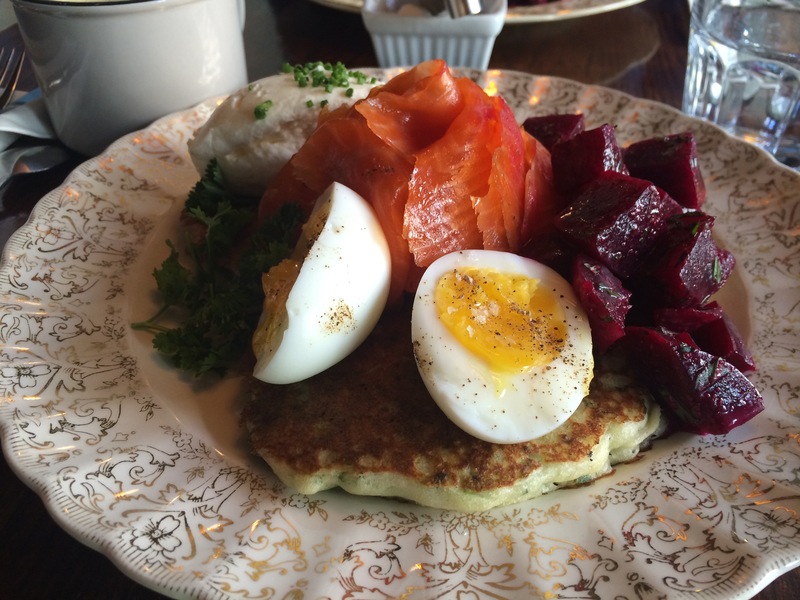 This entry was posted on March 5, 2016 by Pauline Rosen in Restaurant feed and tagged bacon, best brunch montreal, brunch, brunch mile end, Brunch Montreal, brunch plateau, eggs, friendly brunch, gourmet brunch, healthy brunch, mile end montreal, montreal brunch, montreal restaurant, restaurant montreal.